Nice little kitchen we did in lewisville. 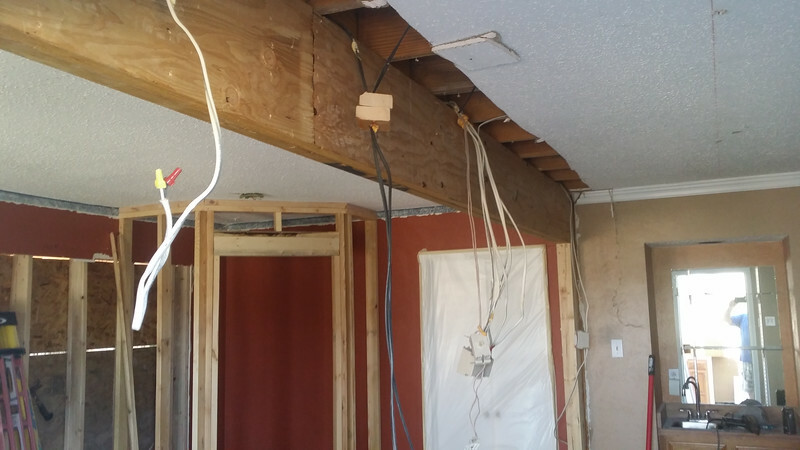 We remove a load bearing wall and added a LVL beam. We re-arranged the cabinets. we kept some of the older cabinets and added some new ones to make the design work. We also removed a set of twin windows and framed them in to give more wall space. We had a seven foot island made with new pendant lighting.